This week, in my meditation studio, we’re focusing on the word ‘aura’. But what does that actually mean? The Cambridge Dictionary is a good starting point. Aura is defined there as ‘a feeling or character that a person or place seems to have’ and also as ’a type of light that some people say they can see around people and animals’. To get a truly authentic sense of the word, however, we need to go back in time. Aura was a Greek goddess, a personification of the breeze, breath and fresh, cool air. Her name came from an ancient seed word meaning breeze, or fresh air. 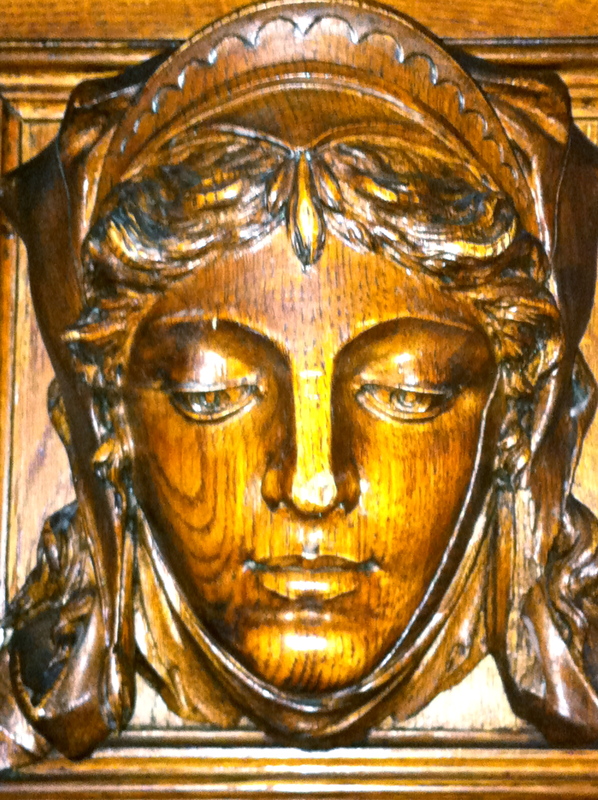 That same seed word also came to manifest over in Finland as ‘the Finnish Maiden’, a personification of Finland itself. So ‘aura’ evokes a presence. It can encapsulate the spirit of an individual, or a community, or a place. It has a freshness about it, a sense of movement: new ideas and invigorating air arrive; old energies and air depart. When healers and other energy therapists use the word ‘aura’, they’re generally referring to the energy field of a person, or other living being. Healers talk about sensing ‘stuck’ energy, a lack of flow in certain parts of a human energy field that can be associated with areas of pain or discomfort. Linked with the physical discomfort may well be emotional issues that have not been fully processed – that have been ‘stuck’ in some way. The healing process enables flow to return to these areas. Physical symptoms can improve. Emotional wellbeing can return. In this context it makes perfect sense that Aura, the classical personification of fresh air and breezes, is meant to be a gently dynamic force. When a person is fit and healthy there seems to be a glow and vibrancy about them – in some immensely subtle way, they shimmer. Likewise, when a person is very happy they glow. Think about a young couple who are about to marry, for example. Or think about a woman when she is expecting a baby. In contrast, when someone has clinical depression, it can feel as thought they are ‘stuck’ in their sad emotions. We notice auras without always realising it. Someone is ‘full of hot air’. Someone else has a quietly menacing air. Yet another person has a reassuring presence. Being aware of auras in this way helps us choose wisely how we deal with situations. The truth is that noticing auras, far from simply being the preserve of psychics, is a good life skill for all of us. A little reminder that even between term-times, individual consultations are available. These sessions offer a blend of listening, guided meditation and healing. They can be helpful if you have a physical condition that is proving hard to treat, or if you’re stuck in a state of sadness or other emotional pain. Sessions typically last 45 minutes. They can make an enormous difference to your wellbeing. More info here. You asked me for a quick protective exercise that I often use and recommend. I have pleasure in enclosing it here. Imagine yourself standing inside a big golden egg of light – this is your own energy field, or aura. The golden egg is the border of your energy field. At the top of the egg is an opening. You can open and close this at your will, and it connects you to the All That Is. Imagine that the surface of the golden egg is strong and protective. If any parts of it seems a bit thin or frayed or tattered, let more golden white light from the All That Is heal those places and firm them up. Now imagine again that you are standing in the centre of your energy egg. You are holding a big, effective broom. The brush is so wide is comfortably reaches into every part of your energy field in one big sweeping motion. Start at the top, and sweep down one side. The brush sweeps a good half of the egg as it does so. Continue the sweeping movement below your feet and up the other side of the egg. The brush sweeps over that entire half of the egg as it does so. Finish with the brush at the top. With a quick, firm, flicking movement, send any debris – anything that doesn’t belong in your energy field – out into the All That Is, which is fully capable of handling it. Repeat the entire sweeping movement once or twice if you choose, just to make sure that your energy field is totally clean and clear. Then, imagine beautiful pure white light coming in from the All That Is. See or sense it filling your energy field completely. Enjoy the sensation. Finally, close the opening at the top of the egg just slightly, knowing that you can open and close it at will. The whole exercise can be done in under a minute. It’s particularly helpful for those times when you feel that someone has hitched a ride, psychically speaking, in your energy field. It happens. Remember this: your space is your space. Boundaries matter. You get to choose who enters your space, and if they do so, it’s on your terms. How can dreams come true when you’re in a cage? There’s a quirky interiors shop in Bath, England, called Blakes. It’s eclectic. 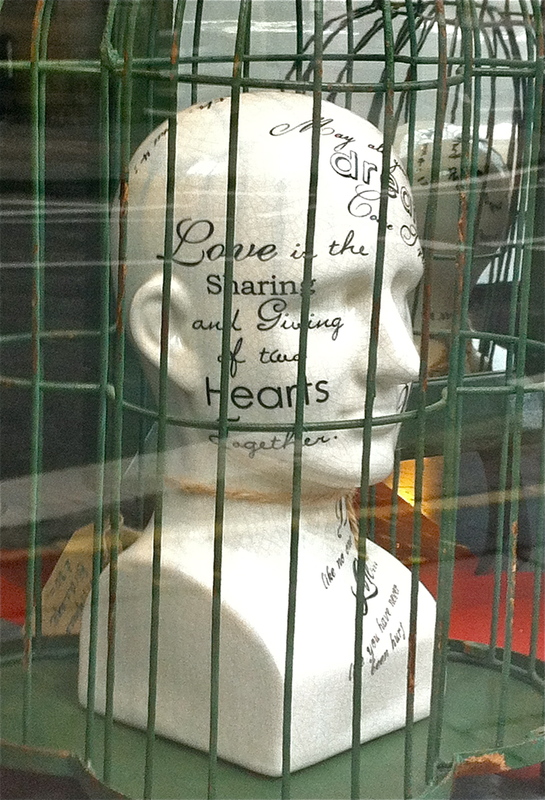 Their window display stopped me in my tracks recently: two heads, in birdcages. “May all your dreams come true” was the message on their foreheads. But how can dreams come true when you’re in a cage? Those two cages were bothering me. They seemed to represent so much more than a window display. Then I realised: the cage is different things for different people. In a nutshell, it’s the things that stop us from achieving our dreams. * Growing up in a violent or dysfunctional family. * Believing we’re not good enough to achieve what we want. *Feeling we have to play a role to be acceptable to others. *Regularly doing things we don’t want to because we feel we ought to. Take a sheet of paper, and a few minutes of your time. Draw two lines down the page, so you have three columns. Write the word ‘Dreams’ at the top of the left-hand column. Underline it. Underneath, write down your dreams and ambitions in a list. Write them all down, as many as you can think of. All those things that in your heart of hearts you’d really love to do. Everything you’d like to experience in your life. Don’t hold back. Just write them all down. Now, at the top of the middle column, write the word ‘Cage’. Underline it. Then write a list of everything that is stopping you from achieving your dreams. These negative phrases are the bars of the cage that hold you. Take a good look. The cage bars are as strong as you choose them to be. We can all blame our parents, our background, our friends, our enemies, the people in authority around us… whoever we choose. But the truth is, we are always the ones who hold the keys to liberate ourselves. Finally, at the top of the right hand column, write the word ‘Key’. Underline it. Then write a list of everything you can do to break free from the cage of your limitations, so that you can achieve your dreams. Write it all down. You are crafting the key to your freedom. And when you have crafted your key, use it. Use it every day, to achieve your dreams. David’s dream, in this instance is to be seen for who he truly is. His cage is the need he feels to behave in a certain way, to conform to the athletic image. We find our freedom when we cultivate an open heart. For David, the key is simply to express himself: to speak the way he feels. He has already started doing this. And as he continues to do so, he will discover that people can at long last see the real David. 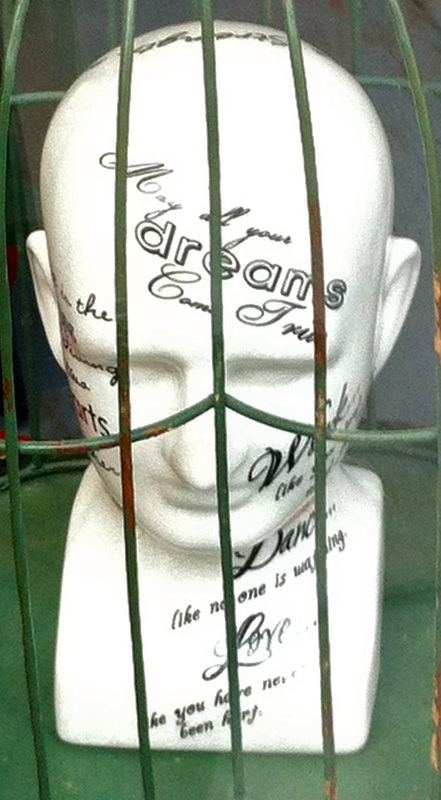 So why does the caged one dream? To be clear, we are all caged ones, and we all dream. We dream because we can: because every human being on this planet is a creative being. We can’t help it; it’s what we do. And somewhere, deep down, we know that we can turn the key, escape our cage, and achieve our heart’s desires. We dream, because when we set our amazing, powerful heart-minds to the task, we most certainly can be free. The female aspect has been covered up, just a little, for centuries. Its time for it to shine. Somewhere in the world, this very second, a baby girl has just been born. Her father is looking at her, and he is thinking: “Oh, it’s a girl.” A wave of disappointment is flowing through his energy field, and engulfing hers. On some fundamental level the little baby girl is aware of his disappointment. She is already making an adjustment to her own energy field. It is obviously wrong to be a girl, better to be the other, like her father. She must temper her femaleness. She must cover it up, just a little bit. After all, she needs to please this father of hers. She is dependent on him, and her mother. Versions of this story are happening all over the world, right now. They were happening when you were a baby too… and for centuries before your birth. Does this matter? Big gulp: yes – in so many ways. Intuition is a major part of the story. We need to look at the female aspect of the psyche to find out more. Fundamentally, the female aspect receives, while the male aspect transmits. The female aspect is passive, while the male aspect is active. The opposites are famously contained in the Chinese yin yang symbol, where yin is female, and yang is male. To be perfectly clear: we each contain both male and female aspects, whatever our gender, or indeed our sexuality… though clearly the proportions vary in each gender, and even in each individual. Intuition works in the following way. We formulate a question (male aspect); we receive the answer intuitively (female aspect); we transmit the answer (male aspect). It’s perfectly possible to be intuitive without the male aspect – to be simply open to the psychic sea that washes all around us; but we can get tired, drained and emerge with no useful answers. We need to formulate a question in order to get an answer, and we may need to transmit the answer to others. 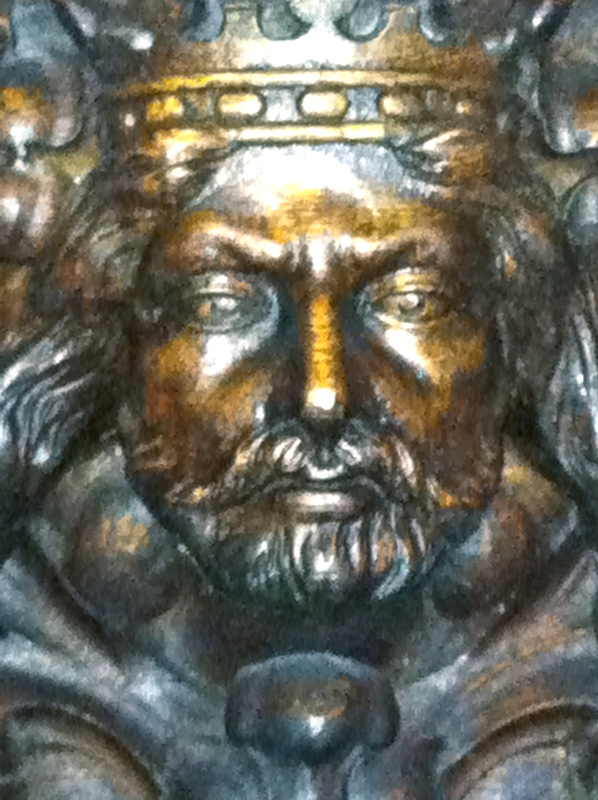 Can you see signs of the compassionate sage (female aspect) in this king? So intuition requires both female and male aspects, but cannot possibly exist without the female element. That’s basically why the phrase ‘a woman’s intuition’ never goes away. It’s also why professional psychics often say they received their gift from their mother’s mother – through the female line. The truth is though, just as we all have a female aspect, so we all have the ability to intuit. To return to that baby girl, who’s just been born, somewhere in the world: if she grows up not valuing her female aspect, she will dampen down her intuition… she will devalue it. If, on the other hand, she makes a decision, deep within her, to love and value the girl that she is, she will thrive and so will others in the future who will receive the benefits of her intuitive, female gift. We would less time talking and more time listening. We would spend less time doing, and more time being. We would respond to the many messages of our bodies, and enjoy healthier, happier, and indeed slimmer lives. We would give our own children a nurturing space in which to grow, with safe boundaries. We would most likely enjoy a far greater degree of world peace, and the planet’s natural resources would be sympathetically managed; there would be more forests. Witness your body’s reaction as you do this: you may find your heart area feels warmer, and more relaxed. You may find the warmth spreading throughout your body. Simply witness what happens. By repeating this exercise daily for a while, you will receive ever more enriching insights and benefits. You’ll find a quick guide to meditation here. A note about the pictures: I found these ancient monarchs of Ireland while seeing in the New Year 2012 at Castle Ashford, Co. Mayo, a beautiful place with many layers of history. Healing is about lighting up dark areas of the psyche. Vivien rang me from London to say she wanted to see me. Her cancer had returned, this time in the form of a tumour at the top of her spine, pressing very painfully on nerves between discs T1 and T2. The hospital organised a course of five radiotherapy treatments straight away, and I travelled to London to take her to the fourth treatment. We talked in the hospital waiting room, and as we did so, I was aware that with Vivien’s words, an energetic release was taking place. I saw, intuitively, that this cancer journey for Vivien was about finding herself. On the way back to Vivien’s sunny garden flat, she told me about her tiredness. “I feel overwhelmingly tired, much of the time,” she said. I mentioned that when someone is tired, it often signifies that they don’t want to be doing whatever it is they are doing at that time. “I’m tired of life,” said Vivien. Back in the flat, we settled down for an intuitive healing session. Vivien lay down (though clients often do simply sit in a chair for this) and I sat in a chair beside her. “We’ll use your tiredness as our route in,” I said. Vivien opted to go towards her heart. I asked her to notice what it looked like from the outside, then pointed out a door in the wall of the heart to her and asked her to open the door and enter her heart. Vivien walked in and found herself in a vast chamber, with dark red walls, and the vague suggestion of pieces of furniture, quite a few of them. She thought they had been there for a long time. They were not used, but they were not dusty either. Vivien walked towards one, and it came into focus: it was a big sideboard made of good walnut wood. But Vivien didn’t want to stay there. She became aware of some stairs ahead of her, and had a strong urge to go up the stairs. As she proceeded she said that the narrow staircase led nowhere – she couldn’t see a door or anything at the top of the stairs, there was just darkness. So we went up the stairs, and on to a narrow walkway. I felt a strong presence of her mother (who is no longer with us). So I asked Vivien to visualise her mother. She saw her clearly and described her mother seeming to be very anxious – seeing her wringing her hands and fretful. Vivien’s mother brought the rose back to Vivien and placed it on the wooden folds of Vivien’s wooden clothes, by her neck. The transformation stopped, leaving Vivien still mostly a very large, wooden statue. Vivien’s mother was wringing her hands together, still very worried and anxious. “Give your mother the red rose now,” I suggested. Barely able to move her big statue hands, Vivien did so. She passed it behind her, with her left hand, without turning to her mother. Her mother took the rose and cradled it, like a baby. Suddenly, her mother was released from her fretful state. Her whole body language changed as she cocooned ‘her child’. 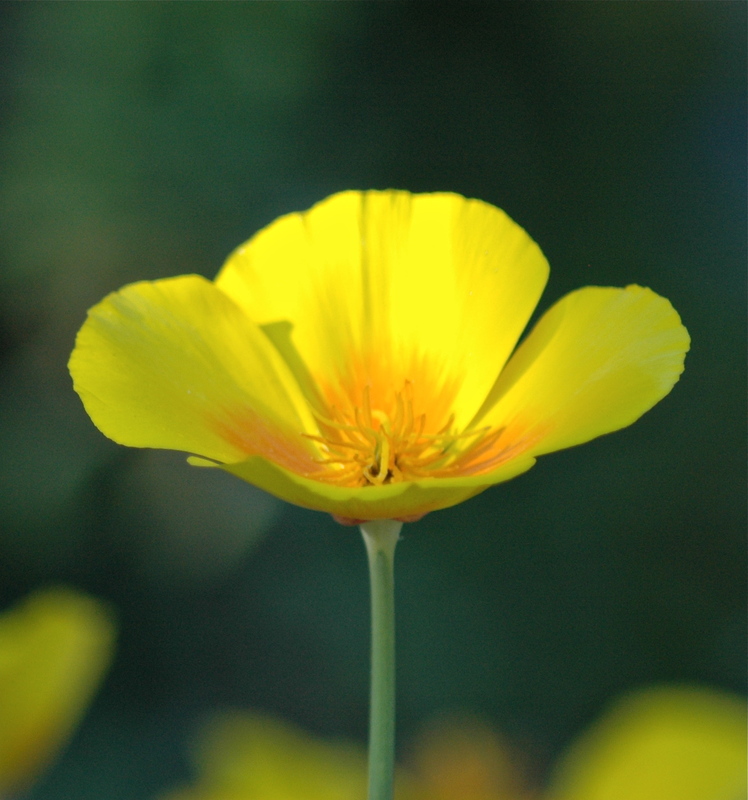 Vivien felt that she was now released energetically from her mother and felt free to move on. There was not the pull of ‘need’ from her mother. Her mother had what she needed and was at rest. Vivien now very strongly wanted to go on and through a door which was now visible at the end of the walkway. We walked into another large chamber, much lighter and welcoming. Vivien immediately saw that the wooden cloak dropped from her and she became lithesome and agile, like a sprite – as if dancing around and carefree. She saw her colour change to pale, light blue. I asked Vivien what she saw in the inner chamber. She replied that she saw a pale, blue heart the same colour as herself. It was alive and fluid: a beautiful heart shape, with full rounded edges. We entered the heart and Vivien realised she was in a temple of healing, one that she had visited many times before. The space was light and airy, and there was a stunning garden there, full of beautiful colourful flowers, and birdsong. Vivien saw an altar of healing. “I can feel white feathers all over my back and covering the altar,” she said. Vivien enjoyed being there for a little while. Then I suggested she take one white feather and return down the stairs with it. Vivien did so. She found her mother in the room where she’d left her, still holding the rose tenderly. “It’s time to let your mother go,” I said. So Vivien let her go, and we continued down the stairs, to the first vast chamber. I showed Vivien that there was a simple, beautifully crafted bowl on the top of the sideboard and suggested that she put the white feather in the bowl. Vivien did so. We then went through the heart chamber door, back into the rest of her body. We made our way back towards the shoulder. So we made our way to the space between the spinal discs, to her tumour. “What can you see?” I asked. Vivien was very struck by seeing the tumour vanish. “Is the space filling with anything?” I asked. Vivien travelled back down the arm and back to the hand, remarking that the arm and hand generally seemed softer and more relaxed than on it had on the way in. Then she popped out through her hand and into the air again, and her journey was complete. I thought Vivien might want to rest, but she seemed to be full of a new energy, and I left her looking very sprite-like in her front garden. Grateful thanks to Vivien, for consenting to have this intuitive healing session recorded, and also for sharing in the writing of the account. 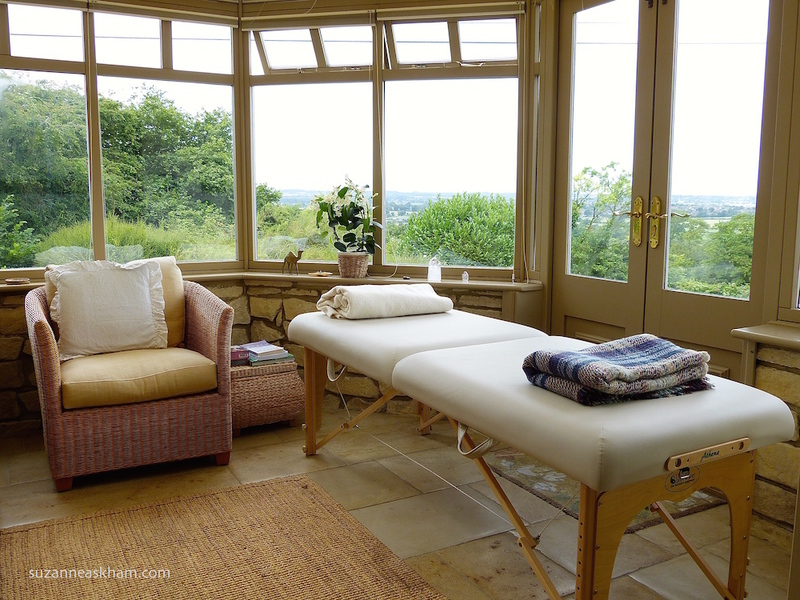 If you would like to find out more or book a session, visit suzanneaskham.com.